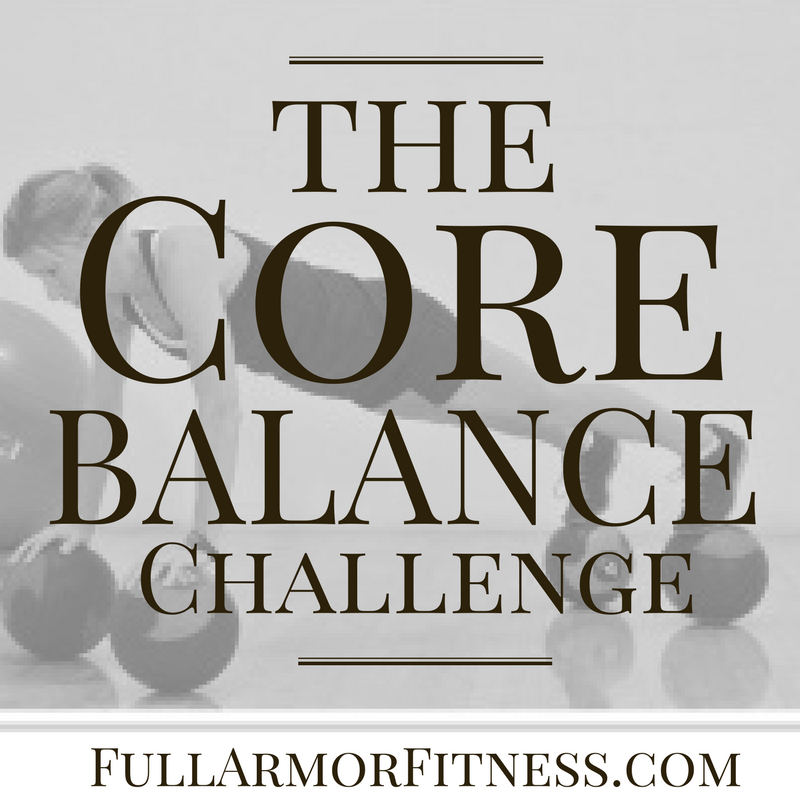 Core Balance Workout – No Crunches! Below are a few core workouts to give a while. They will incorporate your balance while engaging your core. Don’t be surprised if you can’t nail it the first time you try. It took me a while for my mind and body would connect. Either way – try it. You may just fall in love with it! Balance involves more than we think, and a great core workout is just the thing to keep up with it. We use our balance to do everyday tasks. We might take it for granted until we don’t have it anymore. It involves our core (the front, side, and back of our midsection). I always say a healthy core is a happy body. Try out these exercises and see how you do. Every time you take another stab at them, you’ll get better. * If you don’t have the equipment, you can try these without by using a basketball ball or any unsteady surface, a chair, bench or the first step on your stairwell. Sometimes it could take people 4 tries in a row before their body responds.Keep trying – God made your body strong and capable of many things you might not know you can do unless you try. Take 2 Medicine Balls and balance for 20-30 seconds in a plank. Then try it for 2 more sets. Hold core in tight and back neutral. Hold core in tight and back neutral. Breathe in and out – never hold your breath. * Make it harder and add a pushup or raise a leg! Try adding more medicine balls to increase balance intensity. Start with 3 balls and work your way up to 4. It’s hard to get up on 4 balls at first, but don’t throw in the towel just yet. Give it at least 4 tries! Try 3 balls and then add a foot. Most important thing to remember is to breathe and keep your core engaged and tight. 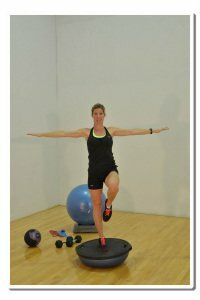 By far the most challenging balance core workout. Add a Bosu to your planks. Take 2 Medicine Balls with a Bosu and balance for 30 seconds for 3 sets. Make it harder and add a pushup! Again, breathe and squeeze core. Sometimes when you first start on a Bosu just standing there is hard enough. This is a great core and balance workout combo. After a few tries and or a few days you will be amazed how comfortable you can become. Use a bar or table to brace yourself if needed. Don’t forget to breathe and keep your core tight – and shoulders down. There are endless possibilities with the Bosu and medicine balls with balance. Sometimes when we squat on a Bosu the first few times it might wiggle out of control. You can purchase a BOSU at Target, Wal-Mart or online at a dozen sites. BOSU is the name of the actual blue and black balance tool I am using. They range anywhere from $100-$190. Most gyms have them. ⟵Are You Wasting Time Working Out?